If there’s something that you just can’t do enough of as a techie, it’s backing up important data. More often than not, that hard drive that you’ve relied on for so long will decide to pack its bags and visit hard drive heaven just when you need it the most. Of course, while this sounds brilliant for the old fella, you’re left panicking, especially if you didn’t have another drive with all our valuable data lying in wait. While many OSes feature native backup programs, like Windows Backup or Mac OS X’s Time Machine, usually these are fairly thin and lack the essential knobs and buttons that particular users require. 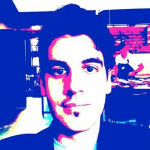 But often, a third party program has all that a savvy user could really need. At least that’s true from looking at Iperius Backup for the first time. Windows 10’s backup system isn’t the most detailed, but Iperius does boast a few more bits and bobs. Installation is simple enough. Download the installer. Double click. Follow the prompts, and boom. There aren’t any annoying issues with bundled bloatware. It’s as straight forward as can be. And so is the interface. It’s laid out like a white table cloth with just the necessary crockery and cutlery. There are large icons and easy to read menu tabs dotting its top level bars, labelled: “Home, Restore, Tools, About.” There’s no menu bar at all, which will probably have a few Windows XP users in a panic. The latter tabs aren’t of much importance, but the first two are particularly interesting. 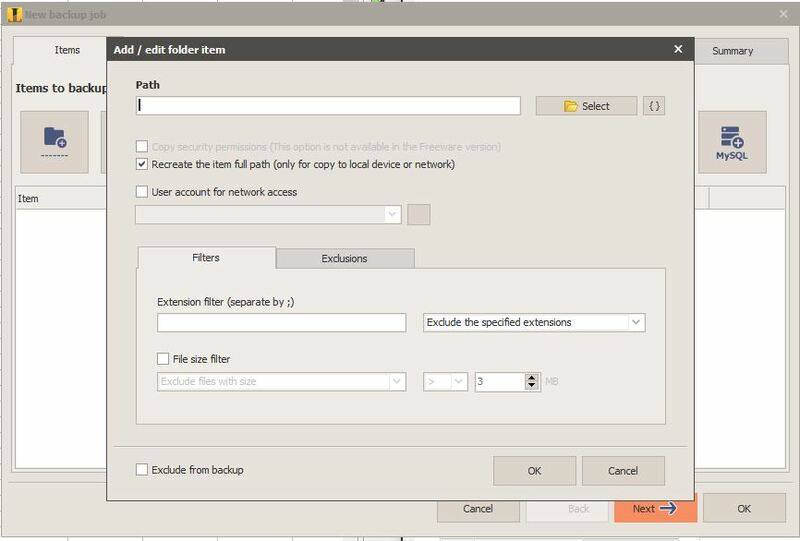 “Home” houses all the essential backup goodies, allowing the user create what Iperius calls “Backup Jobs.” Essentially, these are multiple backup sequences detailing location, included files and folders and a number of other variables. It allows for more than just one strain of backup. 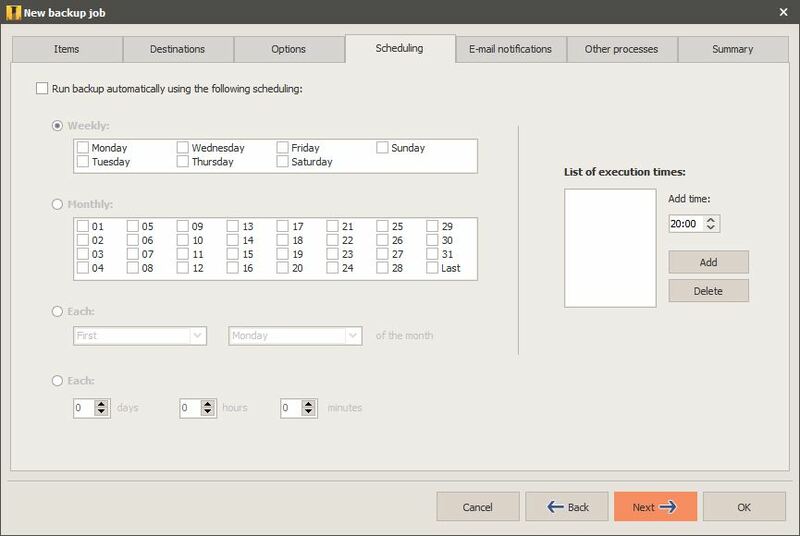 So if you fancy preserving your music collection and your music collection alone, the program lets you pick and choose specific folders and files to include. 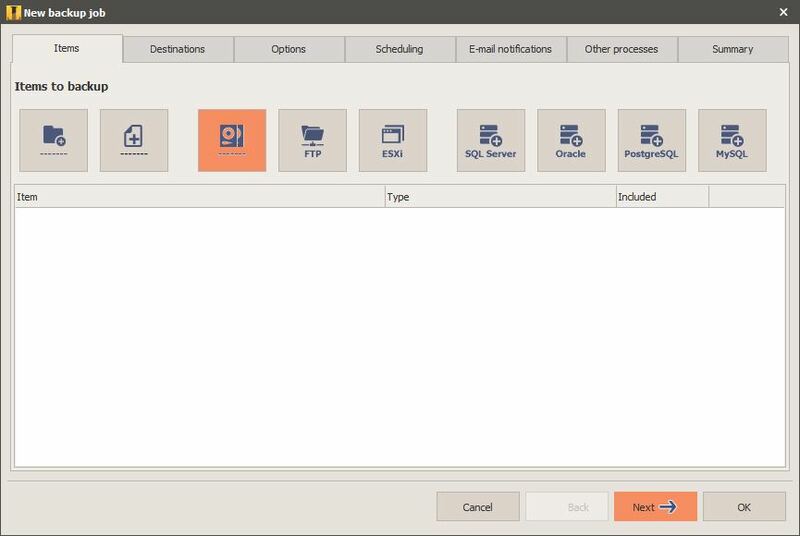 If this doesn’t quite float your boat, you can also add files from FTP servers (useful for fetching Linux distros), Oracle and MySQL server files, although these features are exclusive to the paid version. You’ll probably find that there are many deactivated features in the free version, but you won’t really need any of them immediately. 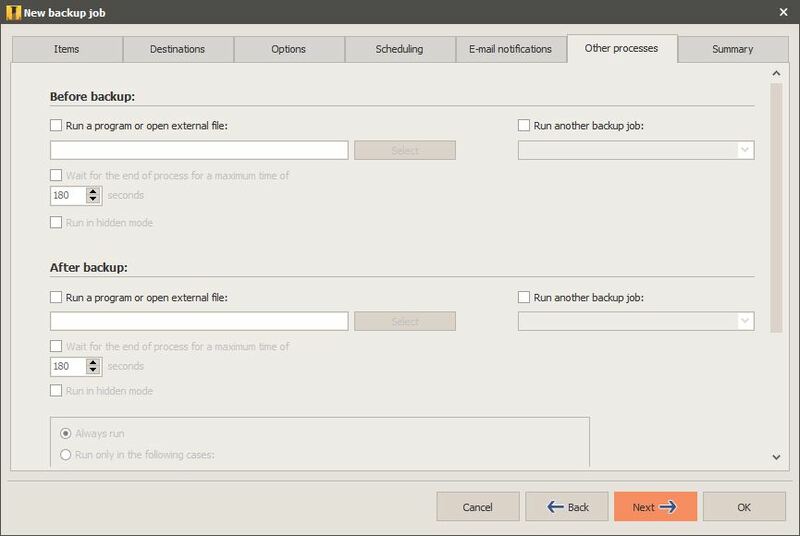 Nevertheless, the free version provides a number of other options at least, including zip compression, scheduling, email notifications and the choice to run a program before or after backup. It’s all good and well dowsing your program with options, but its only really beneficial if the program actually functions adequately. Luckily, Iperius seems to be run extremely well. After running a number of backups on my work machine, it performed solidly throughout. Backing up around 390GB of images, music files and documents on my media drive took around six hours to complete, and this is over USB 2.0. With that said, the speed is pretty promising. I should also mention that my test machine is a six-year old laptop with a dual core Pentium CPU, so results should generally improve with your machine’s youth. RAM usage at all stages is also respectable, with the program never really jumping beyond 80MB occupied at any one time. And once you’re done with backing up your essential data, Iperius also features a restore function in case you’d like to put it all back. I’ve never understood this process personally, but it does make sense for desktop users replacing multiple drives. But as far as the gold stars go, that’s largely it. It’s understandable that Iperius encourages users to purchase the paid-for version, I do hate it when developers leave features that aren’t available lying around in the free version out for users to see. I can’t use them, and more annoyingly, I’m probably not going to use them at all. 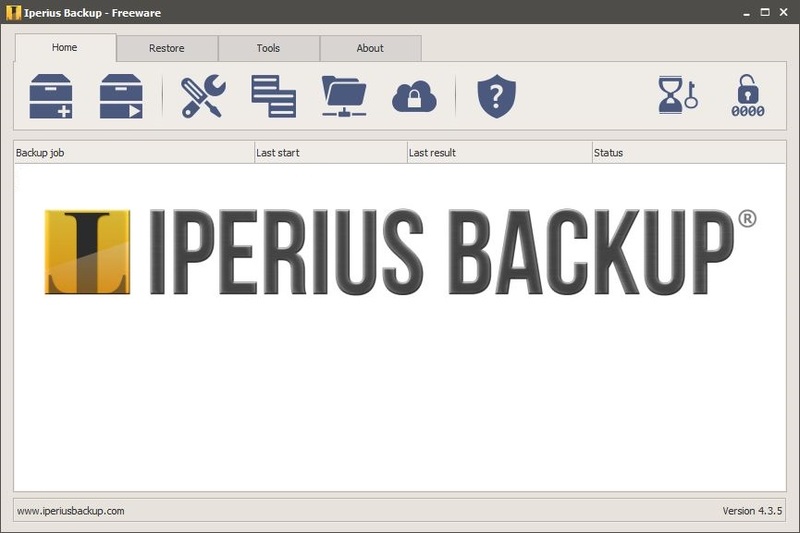 Additionally, the most important question perhaps is this: is Iperius Backup really worth it beyond the Windows and Mac OS X backup systems? The answer is not entirely. While I did enjoy exercising additional control over files on my PC, not all users will require this. Moreover, Iperius does require some knowledge when setting up a backup schedule which means that granny and grandpa can’t exactly jump straight in. But is the paid for version worth it? For the common user, nope. Verdict: It’s a solid program with good general features and a host more if you fork out the cash, but on the whole, only those sick of Windows Backup will benefit. With that said, Iperius Backup will probably appeal to many.